Discover why generations have trusted Baughman’s to create a lasting tribute to their loved ones. Because a memorial remains for centuries as a family record, you cannot make a more permanent purchase. That’s why you should spend both time and care when selecting such a timeless investment. Our expert staff has more than a century of combined experience guiding Central Pennsylvania families through the process of selecting and designing a lasting artistic tribute to honor their loved ones. We craft our memorials using only the finest-quality materials to ensure their original beauty for hundreds of years. Our fifth-generation, family-owned-and-operated, full-service memorial dealer is York County’s oldest. We look forward to crafting and maintaining a work of art for your loved one. … the difference and why you should choose Baughman’s for your memorial tribute to that special loved one. 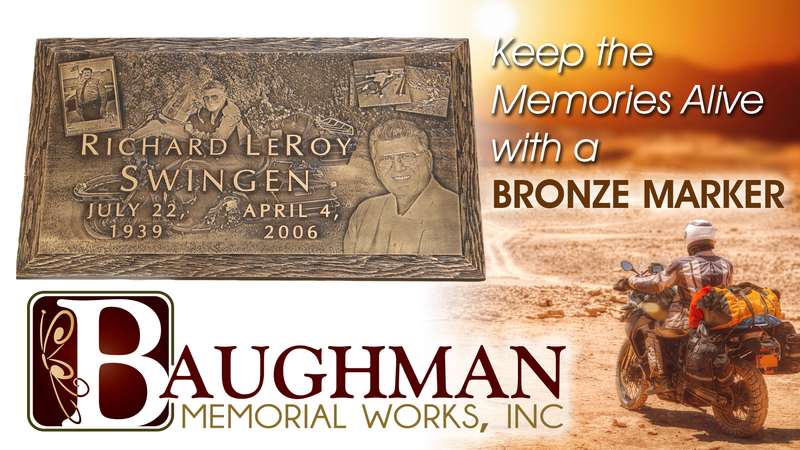 Baughman Memorial Works, Inc. is a full-service firm offering granite, monuments, markers, mausoleums, benches, cremation memorials and bronze markers. We also provide ongoing services such as monument cleaning and cemetery lettering. York County’s Oldest Family-Owned-and-Operated Monument Dealer. Our family is the fifth continuous generation serving York County families. “We are so happy with the monument and have received so many comments on it as many people see it. It is located near the parking lot at our church. The farm was my mom’s pride and joy and I know she is so happy….” – Shirley T. and Rod T.